Our bodies function best when they are well fed and well hydrated. We’ll talk more about nutrition in coming posts, but let’s address water here. Our vocal cords are covered with a layer of mucous that is water based. 1. Helps with vocal cord flexibility (i.e. makes speaking and singing easier). 2. Protects them from friction while we talk and sing. Without it our cords are stiffer, swell more easily when we sing and have a harder time recovering from a long singing session. When we are dehydrated the layer of mucous is either less or non-existent. Hydration is systemic, meaning water has to get into your body before it can hydrate you – drinking water while singing or doing yoga will do a bit to help relieve a dry mouth and cool you off, but it won’t really help your voice in that moment. How do you know how much water you need to drink? The old way of looking at it was everyone needed 64 ounces of water a day. Turns out it is more individual. Our diets often consist of about 20% water – almost every substance we consume has water in it (especially if you are eating lots of fruits and vegetables). 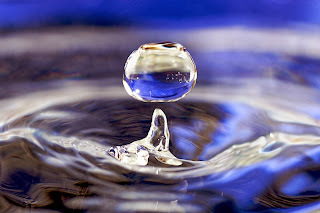 The remaining, 80% water you take in comes in liquid form – and hopefully a lot of that liquid is water, though tea, coffee, soda, fruit juice all have water. One study showed that caffeinated beverages don’t contribute significantly to dehydration in healthy adult males, but caffeine in high levels causes its own issues. Soda and fruit juice are also not ‘real’ foods, but food products, some laden with chemicals, so I advise avoiding them in general. If you exercise and sweat heavily you will need more water to keep you hydrated. In the winter I also recommend sleeping with a humidifier to keep your airway moist (waking up with a sore throat in the morning because you are so dried out is one sign that you would benefit from a humidified *NB a morning sore throat can also be a sign of reflux). In the singing world we say ‘pee pale’. After your first morning trip to pee, aim to have light colored urine. (Totally clear urine can signify over hydration, something that isn’t particularly healthy either). The next time you find your energy flagging at 3pm, try drinking some water to give yourself a boost. Carrying a BPA free water bottle is also a great way to be sure you are drinking regularly and staying hydrated! The first snowstorm of the season is approaching the east coast today. 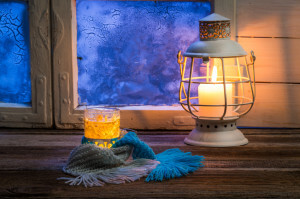 As we stare down Old Man Winter, I wanted to offer some simple steps you can take to boost your physical and mental bodies to stay healthy throughout the coming months. You don’t want to lose singing time to being sick or feeling so blah that you don’t practice! Fill your plate with ACTUAL food, mostly plant based. Think roasted root vegetables, soups with plant based proteins like lentils and chick peas. The more color on your plate the better. If you are a meat eater, try for organic meats. Lower your sugar intake. I know it is hard. There are so many baked goods around during the holidays and when it is cold and you’re feeling low, simple sugars are very, very tempting. The bottom line is, foods made with white flour and sugar do nothing for you nutritionally. Ultimately, sugar suppresses your immunity and sets off an addictive cycle leaving you craving more and more. Hydrate. Water keeps your system running smoothly. Keeping yourself well hydrated helps to flush germs out of the body and boosts your energy. Using a humidifier while you sleep is helpful as well. Wash your hands. Use regular (non-antibacterial) soap and wash your hands before meals, after using the bathroom and after being in a public place. Clean your smart phone daily. Think about all the places you put your phone down. Maybe other people are using it too – children, friends etc. Keeping it clean will keep it clear of germs. Use a neti pot. Flushing your sinus and nasal passages will remove germs that can lodge more easily in the body when the air is dry. Exercise. Aim for 30 minutes daily at a level where you break a sweat. Be Thankful. Keep a gratitude journal. Just jotting down 3 things that happened during the day boosts your mood and your immunity. Lower your stress. Engaging in regular yoga practice – breathing, meditating and physical postures does a body and mind good!